Custom Pencil Skirt. Printed Pencil Skirt Handmade. This custom pencil skirt is a classic staple for any wardrobe. With a choice of 3 materials and available in sizes XXS to 4XL, this printed pencil skirt features amazing body sculpting qualities and your custom design. This custom pencil skirt is made to order with your design. Choose from 3 different stretch fabrics; Crushed Velour with a soft pile and shiny fabric surface, Ponte Jersey with a rib knit and interlock or Rox Sports Jersey with a shiny feel and breathable nature. Designed with a high-waist and center back seam with 7.28" slit from the bottom, our custom made pencil skirts are designed to accentuate your natural curves and give a body sculpting style. Great Stretch and recovery on the weft. Double knit with a matte surface. Good Stretch. Breathable with a smooth and flat surface. Using our online design tool you can create your own custom labels for your printed pencil skirt. 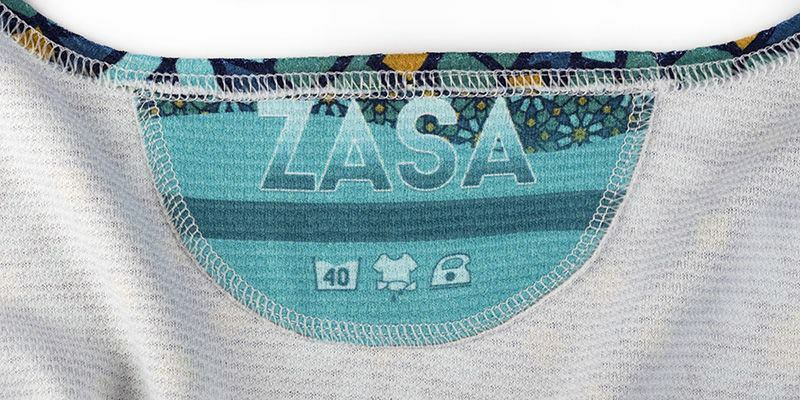 Each of the fabric labels is custom made at the time we make your printed pencil skirt, you can personalize with a message or even your customer's name. Personalized labels can really help build your brand - perfect if you intend to sell your custom pencil skirt - as well as helping you to become recognizable. Our Marilyn Custom Pencil Skirt works beautifully when paired with our custom fitted t-shirts. The high waist of the printed pencil skirt can give you a great hourglass figure with a close-fitting top, tucked in. You could add our wedge espadrilles to give height that - when paired with the high-waist - can make your legs appear longer. Will I have enough movement in my skirt? Absolutely. The three fabrics that your custom pencil skirt is available in all have fantastic stretch qualities. This paired with the 7.58" slit from the bottom of the center back, allowed for amazing freedom of movement. Is this formal wear or comfort wear? We don't believe you should have to choose. Along with the great amount of movement you have with these skirts, each of the textiles is very soft, and the stretch allows for extra comfort even when bending down, stretching up or leaning across. The printed pencil skirt will feature your own design, and the classic look of the pencil skirt makes it perfect for more formal occasions, whilst offering amazing comfort. What do you mean by body sculpting? These custom made pencil skirts have been designed to accentuate your body's natural curvature. 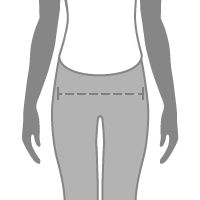 high-waisted garments are perfect for hiding a multitude of sins, and as they are worn on the waist rather than the hips, the focus will be drawn to the slimmest part of your mid-section. The elasticated waist allows you to wear the printed pencil skirt without lumps and bumps that zips or buttons may cause, giving you a smoother, more seamless look. Explore pencil skirt designs in our curated marketplace, created by independent artists and designers.